The theme for International Women’s Day 2019 (today!) is #BalanceforBetter. We’ve been fortunate enough to experience firsthand why balance is better and continue to strive to work with the best female (and male) founders on the planet. 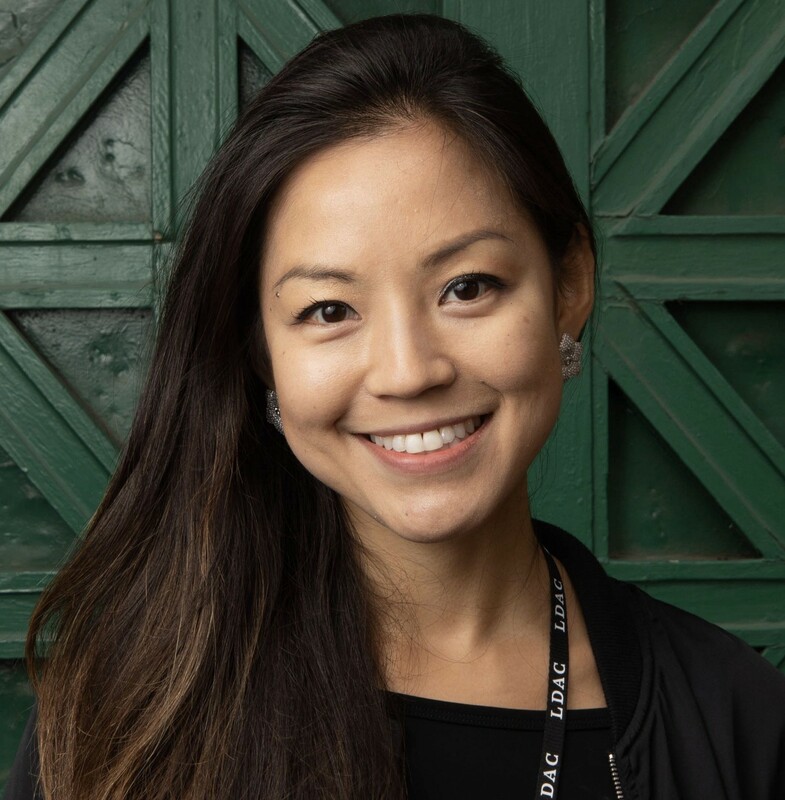 Meet Veronica Lee, Founder in Residence at Atomic. Veronica is co-founding a new wellness company with us (stay tuned! ), and we asked her to share a little more about her journey thus far, her experience “in residence,” and being a female founder in today’s environment. How did your founder journey begin? I’ve always wanted to start a company in health and wellness, a personal passion area of mine and where I started my career. After college (UC Berkeley), I jumped straight into healthcare investment banking at Merrill Lynch and healthcare IT at McKesson. A detour into the world of financial services at CDIB Capital and Goldman Sachs led me to my first founding experience after I got my MBA from Wharton. I started a fin tech company, Midas League, an AngelList-like platform connecting family offices with companies and funds and got to work with some great investors like Paul Hsiao. But being a solo first-time founder trying to raise money, sign family offices, source deal flow, build product, hire teams, figure out finance, legal, HR, recruiting, operations, etc. not only was a crash course in the challenges of company building but also in personal wellness — or lack thereof! How did you start working with Atomic? Over lunch one day with my friend Chester Ng, one of the Atomic partners, I shared that I had the itch to start another company. But I had “severe founder PTSD” from my last experience being spread so thin as a solo founder and also not building something I personally cared deeply about. Chester remarked, “you know what we do at Atomic right?” I admitted, “actually, not really!” He explained, “we start companies with co-founders! We try to pair the right talent with the right markets and ideas. We provide a platform that enables founders to focus on building the product and business, rather than all of the other stuff that goes into company building.” As he and I chatted about mutual areas of interest, it was clear that Atomic was as deeply passionate as I am about wellness and the success of hims and hers is the latest proof point. From there, I met with Jack Abraham and the rest of the team, was really impressed by the caliber of teammates I’d get to work with, and joined as a Founder in Residence. What has the Founder in Residence experience been like? On day one, I started exchanging and collaborating on ideas with Jack and the team. We started with a list of about a dozen ideas, mostly within wellness and proceeded to research and diligence each one — sizing the market, validating the problem and demand, exploring solutions, developing unique product and go-to-market approaches. From there, a few ideas quickly emerged and one particular one stood above the rest. We started prototyping and testing distribution, user acquisition, and unit economics immediately, and were absolutely blown away by the early results. As we’ve moved towards turning an exciting idea (and promising data) into a new company, I haven’t had to worry about “all of the other stuff that goes into company building” (as Chester puts it) that really weighed me down the last time around. Atomic’s team of business specialists has stepped in to be my recruiting team, my HR team, my legal team, my finance team, my design team, etc. Terminal has enabled me to quickly hire engineers and build a distributed team from the get-go. I’ve been able to leverage the playbooks, services, and relationships to really jump start a new idea into a new company. Who would excel as a Founder in Residence at Atomic? Someone who is ready to take their shot at a starting a company and really has the drive to do that. What Atomic provides is an ecosystem and platform to support that drive. The Founder in Residence program is pretty open in the sense that you can pursue what you’re most passionate about, with just enough structure so that you’re not going crazy ideating by yourself. You’re surrounded daily by serial entrepreneurs like Chester and Jack, and the rest of the Atomic family to bounce ideas, challenges, and opportunities off of. These are my co-founders that I can go to at anytime for anything. Someone who is incredibly resourceful, in a world of uncertainty and unknown. There are so many questions to answer, risks to overcome, and the best founders just find a way to get to the answers. Atomic has unlocked a lot of resources available at your fingertips. Not only a group of entrepreneurial partners to work with, the business specialists and services, but also the other Atomic companies and founders all around you. I can walk down the hall to the teams at Bungalow or Hims to discuss a similar challenge they may faced, an idea they may have insight on, an experience from their scaling. Just being around this environment can be tremendously helpful and it’s on a Founder in Residence to leverage the available resources. Who is a founder that inspires you? Katrina Lake! We have similarities in our backgrounds in the sense that she started on a traditional pre-MBA career path, went to business school, and then suddenly pivoted to pursue a personal passion of hers in a market she felt desperately needed a better solution. She turned that passion into a company and took Stitch Fix from scratch to a a public company now valued at $2.5 billion. 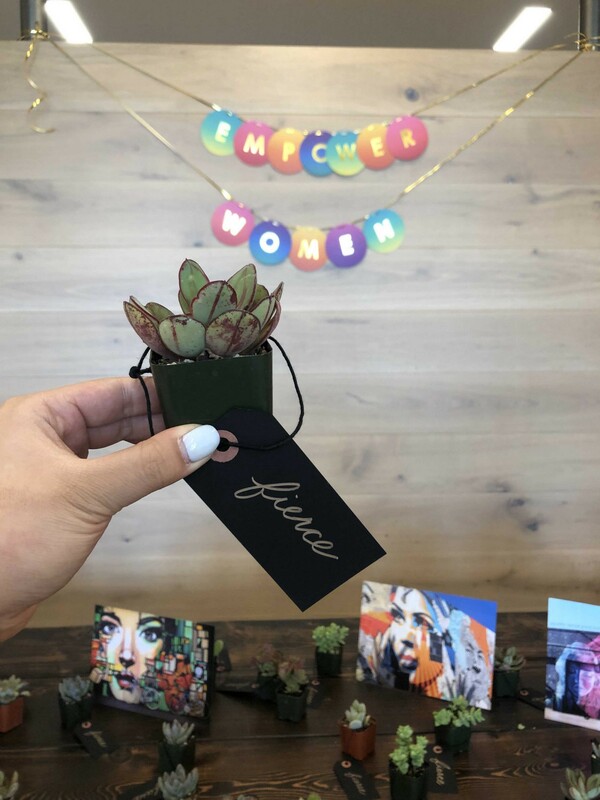 What is it like being a female founder in 2019 vs. 2014? Of course it can be challenging at times. But there’s a ton of attention today on supporting and empowering both female entrepreneurs and female VC’s, which has been great. Especially compared to when I started my first company in 2014. Atomic itself has been very focused on building a diverse base of founders and teams, which is one of the factors that drew me here. Throughout my career, everything I’ve done has been in a male-dominated industry starting with banking in 2004. However, I’ve always been lucky to be surrounded by female mentors who have been inspiring— two of my former managers were females, so I was very fortunate to be have had this support early in my career. Right now, we’re at a very interesting time where there’s just so much attention on women stepping up and taking founding, leadership, and investing roles. That can only help. For me, I’m focused on building the best company and team possible and expect that to come from diverse backgrounds, experience, and perspectives! Atomic is a fund that founds companies. We’re the creators of hims, Zenreach, Ever, TalkIQ, Terminal, Bungalow, and more. Founding and funding great companies.